The apartment is 57sqm in size and has 2 adjacent bedrooms with double beds. The living area with kitchenette has a dining area and another sofa bed. The bathroom has a toilet and a shower. The apartment has 2 balconies, one off the living room and the second of a bedroom is accessible. Ideal for families with an occupancy of 4-5 people. We offer free air conditioning, WiFi, satellite TV and a Parking Lift at the house. Our cottage is located in the settlement Spadici, one of the most attractive areas of Porec. In the House, we have several apartments for 4-5 people. All apartments have two bedrooms with double beds, a living area with kitchenette, a bathroom and a large balcony. We offer free air conditioning, WiFi, satellite TV. The house has a private parking and situated in a quiet side street that ends in two dead ends. The nearest beach is easily reached in about 250 m walking distance. 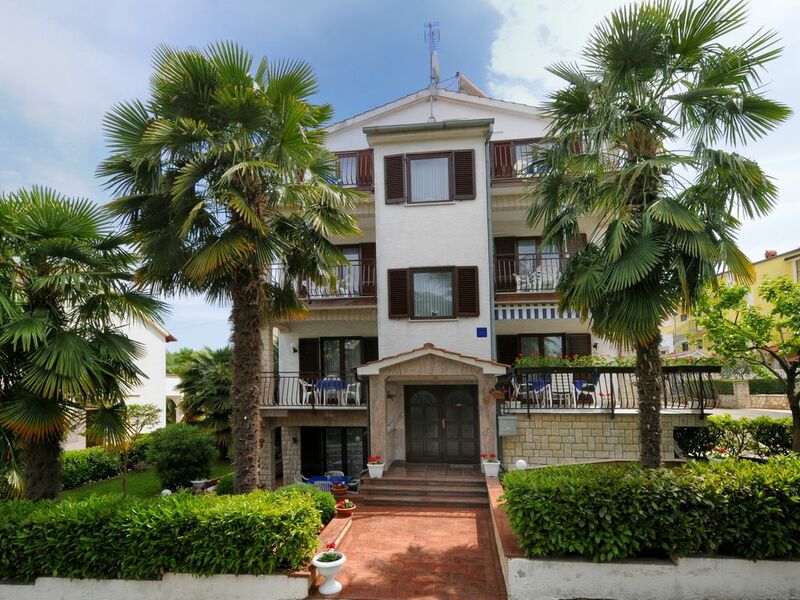 Our cottage is located in the settlement Spadici, one of the most attractive areas of Porec. Nearby you will find both supermarkets, restaurants and beautiful cream. From Spadici you go on a leisurely stroll along the sea in 15-20 minutes to the old town of Porec with all its attractions, cafés and small shops. Or just take a little excursion train from Spadici directly to the Old Town.